Found this yesterday. Has anyone seen something similar? 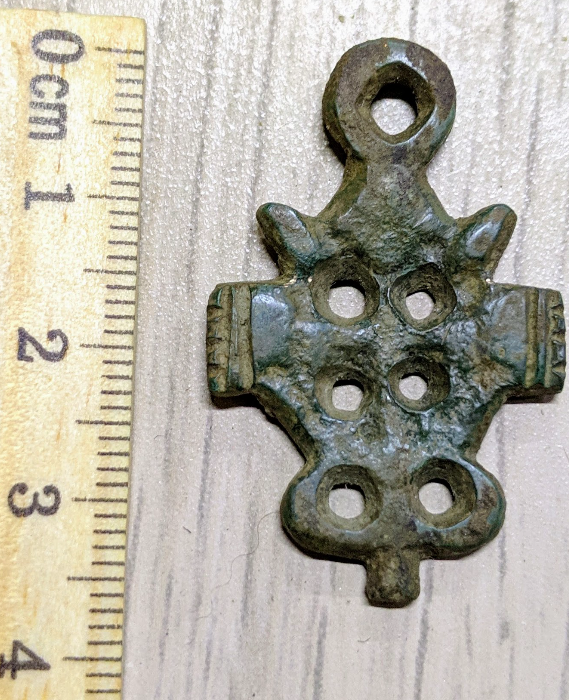 I think it's a pendant or a chain attachment ornament. Oldest finds: Iron age weapons, jewelry. Oldest coin: German pfennig 1046-1056. Thank you! Those look similar indeed, I'll research this further.